Novo Nordisk is a global leader in the production of insulin. The company was founded in 1989 after a merger of two Danish companies Nordisk Gentofte A/S and Novo Industri A/S. As a result of increased production activities and globalization, the company has been faced with increased stakeholder activism and regulatory scrutiny. In this case, the senior management of the company should adopt new policies to embed sustainability to grow the company. Following the merger, Novo Nordisk was involved in a lot of innovations to promote sales and ensure sustainable growth and development (Nikolaos, & Evangelia, 2012). Novo Nordisk has made significant efforts improving its production activities and has achieved recognition by the business magazine Corporate Knights for being the most sustainable firm. The senior management plays a significant role in the growth and expansion of Novo Nordisk. The growth and development of the company depend on their managerial decisions. The top management should understand the role of human resources in promoting the growth of the enterprise. They should recognize them as the most valuable assets for the organization. The senior management should emphasize on the quality of training to provide the staff with relevant skills for the job. Besides, they should take into consideration the interests of the stakeholders including suppliers, customers, and shareholders. The top management should ensure that the insulin meets the standards set by the medicine manufacturing bodies in various countries where the firm operates including South Africa, the US, Denmark and other nations (Nikolaos, & Evangelia, 2012). The top management should ensure that their insulin products are subsidized in different countries where they operate. The product should meet the needs and requirements of the targeted population to enhance profitability and sustainable growth. The top management should engage other stakeholders to innovate environmentally friendly methods of production. The executives should embrace the corporate social responsibility to enhance productivity and sustainable development. The primary objective of any business organization is to earn a profit. This achieved by simple and sustainable methods of production that will ensure that the organization produces quality products that meet the needs and requirements of the targeted market. Besides, the raw materials utilized should allow the business to attain competitive advantage in the market. Novo Nordisk is considered as the global leader in the production of insulin (Nikolaos, & Evangelia, 2012). In this case, it is obligated to strike the right balance between global health and business. 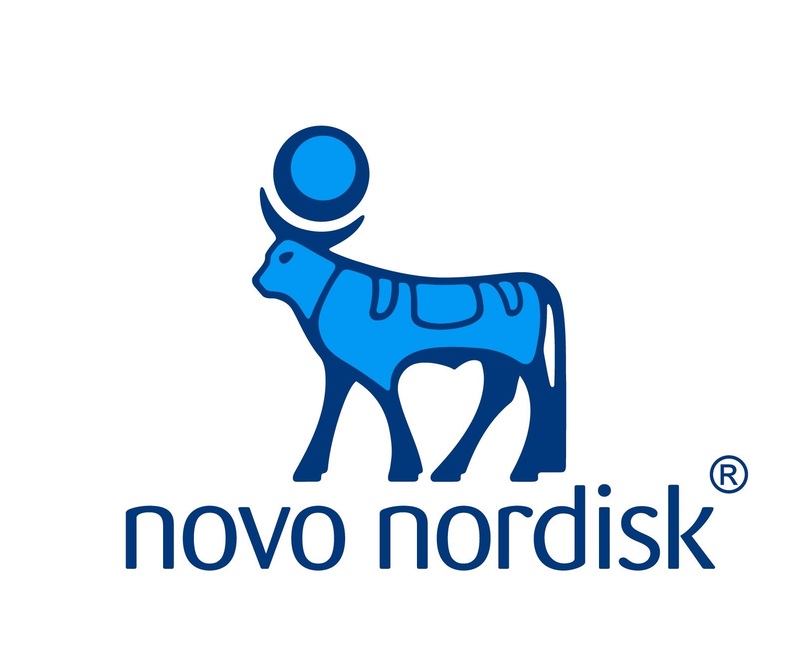 Novo Nordisk is a reputable healthcare company. It has made a tremendous effort to promote corporate social responsibility and production of insulin products that meet the needs of consumers in different locations where they operate. For instance, Novo Nordisk has reduced the level of water consumption in production from 3231000m3k in 2007 to 2136000m3k in 2011 to enhance efficiency and give back to the society that experiences water shortages. This strategy ensures that the business remains environmentally friendly and at the same meets the targeted units of production. 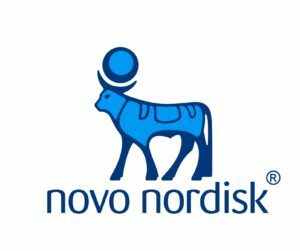 In spite of the allegations concerning business practices, Novo Nordisk has emerged as the global leader in the manufacture of insulin. The company has a vision of how they want the world to be. Novo Nordisk is committed to sustainable growth. As such it has embraced openness, partnerships, shared values, and trust. Besides, Novo Nordisk translates its production activities into economic viability, social and environmental responsibility. These strategies allow the firm to attain competitive advantage in the market. Novo Nordisk has adopted a management philosophy known as Novo Nordisk Way of Management to ensure that actions committed by the workforce meet the corporate objectives (Nikolaos, & Evangelia, 2012). The senior management of Novo Nordisk has adopted appropriate management control systems to balance between business and global health. Novo Nordisk is based on research. In this case, a lot of funds are spent on research and development to enhance business and promote global health in producing high-quality insulin and other products. Novo Nordisk is a global leader in diabetes care. The company is committed to changing diabetes for the best. The company understands the effect of diabetes in the developing countries. It has invested a lot of funds in research and development in the third world nations. The products offered in the developing countries are provided at subsidized prices. Novo Nordisk should reach more people in the developing countries with their products. Besides, it should support various activities in the developing countries as a way of giving back to the society (Nikolaos, & Evangelia, 2012). In this case, the company should discover and innovative biological medicinal products and make them available to the majority of people in the developing countries. The insulin products should be provided at low prices to accommodate all markets in the least developed countries. Novo Nordisk should work with government agencies, healthcare providers, and patient organizations in developing countries to allow them to overcome challenges experienced in the manufacture and distribution of the insulin products. Novo Nordisk should make significant efforts to invest resources in the developing countries with the primary objective of improving diabetes care through research and development. This will allow the company to produce low price insulin to cater for the needs of the developing countries populace. Besides, they can support more people who are living with diabetes in the developing countries by providing low price insulin (Nikolaos, & Evangelia, 2012). People living with diabetes in the developing countries require vital education on the management of the disease. Such education will allow them to overcome the challenge of diabetes pandemic which has impacted negatively on the populace of the developing countries. It is expensive to treat top treat and prevent diabetes. According to World Health Organization, $376 billion has been spent in the treatment of diabetes and its complications. The cost is estimated to rise to $490 billion by 2030. Novo Nordisk should also give back to the society by initiating development projects such as water, education, and infrastructure. Such initiatives will help the people in the developing countries who are ravaged by the disease. Provision of education will help those affected by the disease to adopt healthier diet and lifestyle. It is the responsibility of the firms to go beyond voluntary environmental and social initiatives to incorporate sustainability that is acceptable to all stakeholders. The new sustainable business models should enable managers to understand how the models would contribute to global development. The models should be compatible with the value proposition of the firm. The development of the new sustainable business models should be derived from an assessment of the business activities. The models should be innovative and should be compatible with the corporate objectives and core values of the organization. The new business sustainable models should be based on a performance measurement framework to identify sustainable, innovative models that are acceptable to all the stakeholders. Sustainable business models refer to the logic utilized by firms to carry out their business activities. It describes how the company captures, delivers and creates value. There is no general or primary formula used in developing business models. However, business organizations should strive to develop models which are acceptable to all stakeholders. Business models should be utilized as vehicles for innovation and should be considered as part of intellectual property. The business models should be designed in such a way that it commercializes technological innovations. It should embrace open innovation and collaborative entrepreneurship to accommodate all the stakeholders (Carroll, & Buchholtz, 2014). The business model should consider all other factors such as economic values, environmental values, and social values. In the case of Novo Nordisk, it should embrace environmental value forms with low emissions, low waste, and renewable. The economic value forms should allow for a return on investment, encourage financial resilience, business stability, and long-term viability. The social value forms should support community development, equality, and diversity, enhance labor standards, and promote safety and well-being of all the stakeholders. Such a business model is vital to the growth and development of any business organization. The social, economic and environmental forms are necessary for developing a business model that is acceptable to all the stakeholders in the organization. Creating healthy dependencies is vital in the development of a project or creating a product. Creating a dependency map is necessary in developing wise product decisions. The top management and line product managers should play a significant role in avoiding unhealthy dependencies. Specialized teams categorized in small groups should be established (Carroll, & Buchholtz, 2014). They should be assigned specific features of the product to prevent unhealthy dependencies. Typical components or features of a product should have their teams to manage common aspects such as shipping and packaging. The senior management should allow every employee who is involved in product development to keep track of every activity which is ahead of them. The data components should be well established to ensure smooth flow of data and information. Talented staff should be assigned specific areas and should be responsible for the production of a particular stage of a product. There are various procedures that firms can implement to avoid unhealthy dependencies between the company and project partners. The company and the project management partners should identify both internal and external dependencies. The project manager should organize a workshop between the company and the project partners to decide on what is required and when it is needed. The company and the project partners should agree on what is required of the project. In case the parties do not agree, the project management team should negotiate on time and materials required and ensure timely delivery. The project management team should plan for the project. Various scheduling tools can be used. The tools should be utilized to record external dependencies. Each dependency should be given a reference number (Carroll, & Buchholtz, 2014). This will ensure quick retrieval and perusal in all documentation. Each dependency should then be linked to the entire schedule, and the impact of each dependency ascertained. The project management team should set a baseline date to deliver the dependency. Novo Nordisk may experience a series of discrepancies in the manufacture of insulin. In this case, a change in one can affect others and impact negatively on the entire project. Validation is necessary during the project management. It allows the company and the project management partners to identify dependencies which can have a greater impact if they slip. It is important to rate the dependencies in regards to the impact they could cause to the project. The ratings should be checked regularly, and those with greater consequences should be accorded management attention. In conclusion, the company should involve the project partners in regular monitoring and control measures to ensure that each dependency is delivered on time (Carroll, & Buchholtz, 2014). The expected changes should be recorded, and the company and the project partners should be aware of this. If the company requires some modifications in the delivery time, then it can be implemented through a change control process which is acceptable to both the company and the project partners. Novo Nordisk faced a lot of criticism when it stopped providing its products in Greece. This was attributed to drastic measures by the government to cut all prices in the country. However, it was not necessary for the firm to stop providing its products in the country. Novo Nordisk should have work in unison with the government to subsidize the cost of production to enable them to sustain their profits (Carroll, & Buchholtz, 2014). Besides, the company should have laid-off some of the staff members to cut unnecessary expenditure and sustain the profits. It was also important to set some of the employees on unpaid leave for the duration of a price cut. This could have enabled the company to avoid expenses such as benefits which are paid to employees in the course of their duties. The company should also have set a standard price in agreement with the government. Such a price should allow Novo Nordisk to sustain profits during the duration of a price cut. Austin, J. E. (2000). Strategic collaboration between nonprofits and businesses. Nonprofit and voluntary sector quarterly, 29(1_suppl), 69-97. DeSimone, L. D., & Popoff, F. (2000). Eco-efficiency: the business link to sustainable development. MIT press. Dey, C., Burns, J., Hopwood, A., Unerman, J., & Fries, J. (2010). Integrated reporting at Novo Nordisk. Accounting for sustainability: Practical insights, 197-214. Epstein, M. J., & Buhovac, A. R. (2014). Making sustainability work: Best practices in managing and measuring corporate social, environmental, and economic impacts. Berrett-Koehler Publishers. Hatch, M. J., & Schultz, M. (2008). Taking brand initiative: How companies can align strategy, culture, and identity through corporate branding. John Wiley & Sons. Nikolaos, T., & Evangelia, F. (2012). Competitive Intelligence For The Pharmaceutical Industry: The Case of Greece. Science Journal of Business Management, 2012. Yunus, M., Moingeon, B., & Lehmann-Ortega, L. (2010). Building social business models: Lessons from the Grameen experience. Long range planning, 43(2), 308-325.